The ’81 DeLorean DMC-12 is strongly considered as a car that was ahead of its time. This sport-tuned sports car with stainless steel body and gull-wing doors is one vehicle that still captures stares on the road. 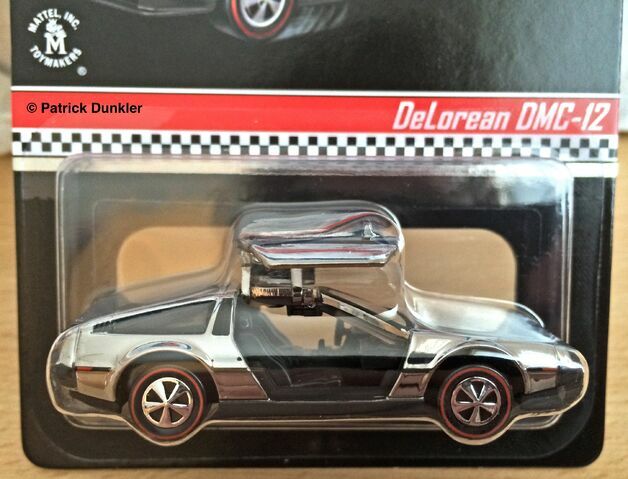 The Hot Wheels ’81 DeLorean DMC-12 is no different. Since its release as part of the 2010 New Models Series, this casting has been a collector favorite and it is unclear as to why it took so long to get the DeLorean into the Hot Wheels lineup. The origin story of the Turismo lends some clues involving its early absence explaining that the DeLorean was to be released as a Hot Wheels vehicle in 1981, but after Hot Wheels submitted the design to DMC for approval, the design was rejected. The result was a modification of the design and Hot Wheels releasing an unlicensed version of the car named, Turismo. Fast-forward to 2009. Hot Wheels sculptor, Manson Cheung who is the owner of a real 1981 DeLorean led the charge to bring this model to Hot Wheels. He designed and sculpted the casting you see below. Since its initial release as part of the 2010 New Models, the DeLorean has come back in full-force. At least 10 versions of the ’81 DeLorean DMC-12 are out there in addition to the very similar casting of the same DeLorean model that features opening gull-wing doors. 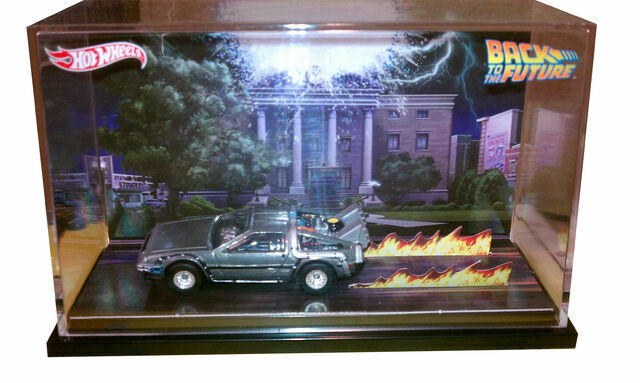 In 2011, Hot Wheels also released the DeLorean Time Machine from the 1985 movie, Back to the Future, which has a few castings of its own including the original BTTF Time Machine, the BTTF Time Machine with Mr. Fusion and the Mr. Fusion Time Machine in Hover Mode. Also of noted interest, the ’81 DeLorean’s inclusion of part of the Hot Wheels Track Aces means that this vehicle performs well on Hot Wheels track — which is kind of strange considering the Super Treasure Hunt version has rubber wheels which are notoriously on the other end of track performance. The super version does carry over the original graphics found on top of the 1982 Turismo. The track aces logo is actually cast into the base of this car, meaning it can be found on both variations. I have not got a chance to race the ’81 DeLorean, but I have heard its pretty fast on the downhill track, especially the version with Faster than Ever Wheels. RELEASE DETAILS: Red Enamel Body (metal). Dark-Tinted Windows. Tan Interior. Chrome 5-Spoke (5SP) Wheels. Black Base (plastic). Made in Malaysia. Toy# CFH80. Released in 2015 as part of the HW Race / Track Aces Series. RELEASE DETAILS: Spectraflame Dark Red Body (metal). Dark-Tinted Windows. Tan Interior. Chrome Real Riders Turbine (RRT) Wheels. Black Base (plastic). Made in Malaysia. Toy# CFJ38. Released in 2015 as part of the HW Race / Track Aces Series (Super Treasure Hunt version). If you are (or aspire to be) a Hot Wheels / Diecast Racer, check out redlinederby.com. Its a great resource for all things related to racing your toy cars.